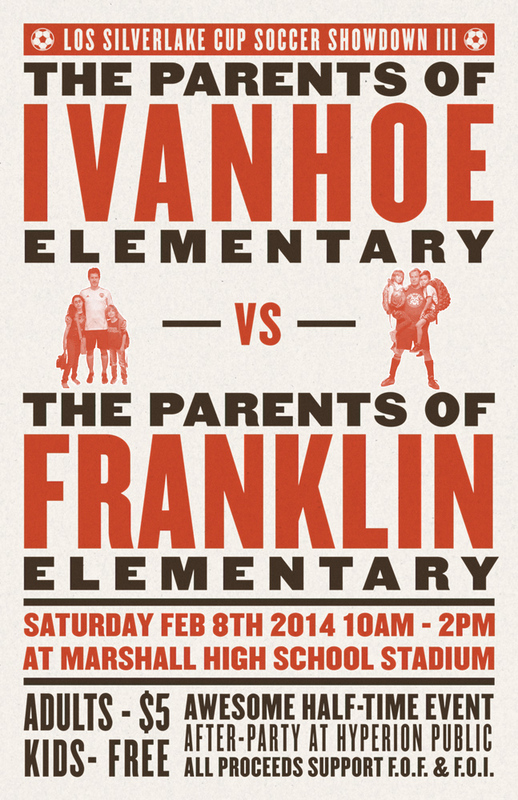 The third annual Parents of Ivanhoe versus Parents of Franklin soccer match is coming up in just a couple of weekends - see who will take home the coveted Los Silverlake Cup! Parents and faculty will duke it out on Saturday, February 8th from 10am-2pm; kids are free, $5 for adults in support of the schools. Local gastropub Hyperion Public is hosting the after party! Click here for more info. Volunteers can email aniko.alexovics@gmail.com for more info.